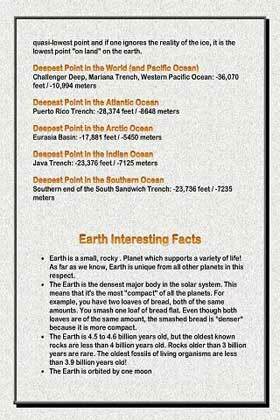 motherly plannet Earth and comparision of it with other planets of our solar system. You can have a glimpse of some as below. where water exists in its liquid form on the surface. 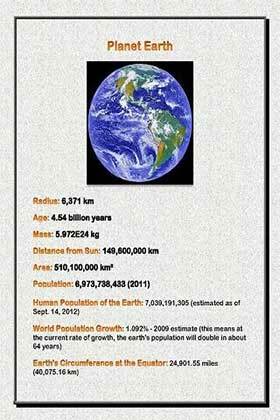 Earth is the only planet known to contain life. Surely this will let you enjoy and increase your knowledge about our earth.